Montana is the fourth largest state in the U.S. at just over 147,000 square miles, yet its home to only slightly more than a million people. Coupled with its low density population and diverse, stunning landscapes from the breathtaking Rocky Mountains, tranquil lakes and roaring rivers to lush prairies and some of the country’s most stunning national parks, it’s no surprise that it makes for an amazing vacation destination. If you’re one of the fortunate who’ll be traveling to Montana, consider some of these very best places during your visit. This vast natural wonderland in the northwestern region of Montana bordering Alberta and British Columbia, is considered to be the “Crown of the Continent Ecosystem,” with over 16,000 square miles of pristine wilderness. 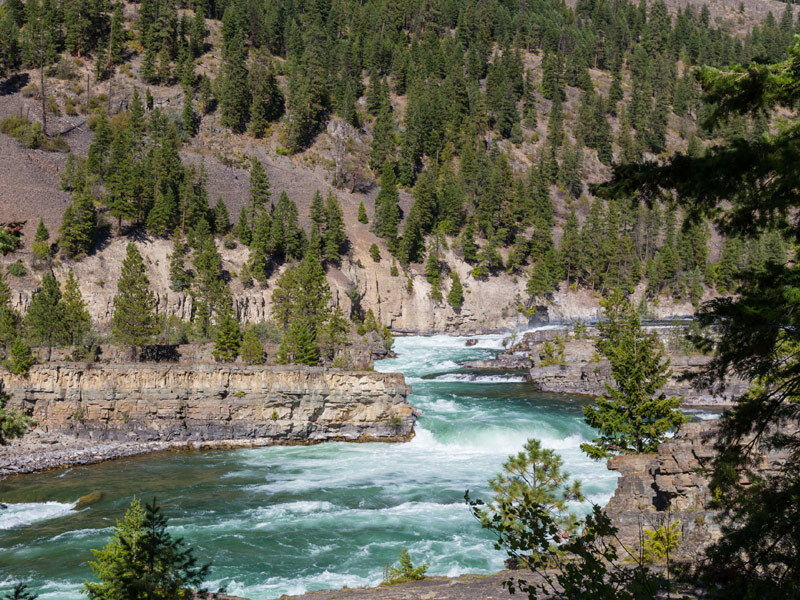 A nature lover’s paradise, a wide array of wildlife species can be found here, including rare and endangered animals, like grizzly bears and the Canadian lynx as well as mountain goats and bighorn sheep. 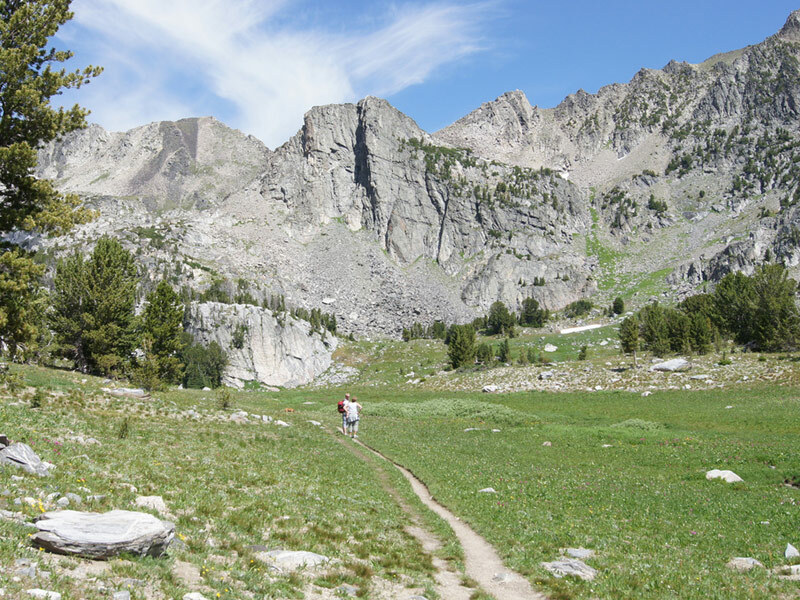 For an up close and personal experience, get out on the hundreds of miles of hiking trails and explore it on foot. 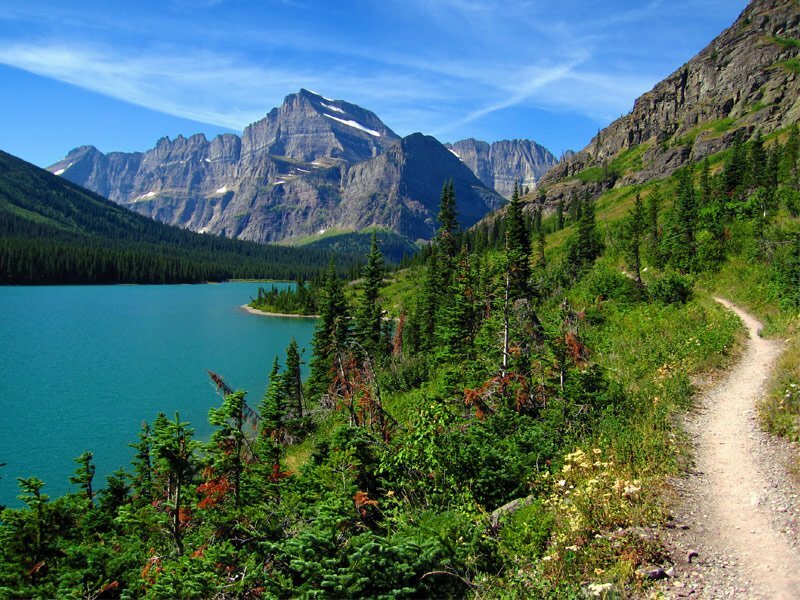 If you’re short on time, and even if you aren’t, a scenic drive on the world famous 50-mile highway known as Going to the Sun Road offers the chance to see many of the park’s most spectacular highlights, bisecting the park east and west, spanning its width and crossing the Continental Divide at Logan Pass. Virginia City was once the largest town in the inland northwest, with a population of roughly 10,000 in 1864. Over $90 million worth of gold was pulled from this area between 1863 and 1875, making it a very popular place at the time. Preservation began in the 1960s, keeping the Old West town authentic and free of commercialism. Today, there are just a little over 100 people living here, but it houses more than 100 historic buildings, complete with period furnishings and artifacts. 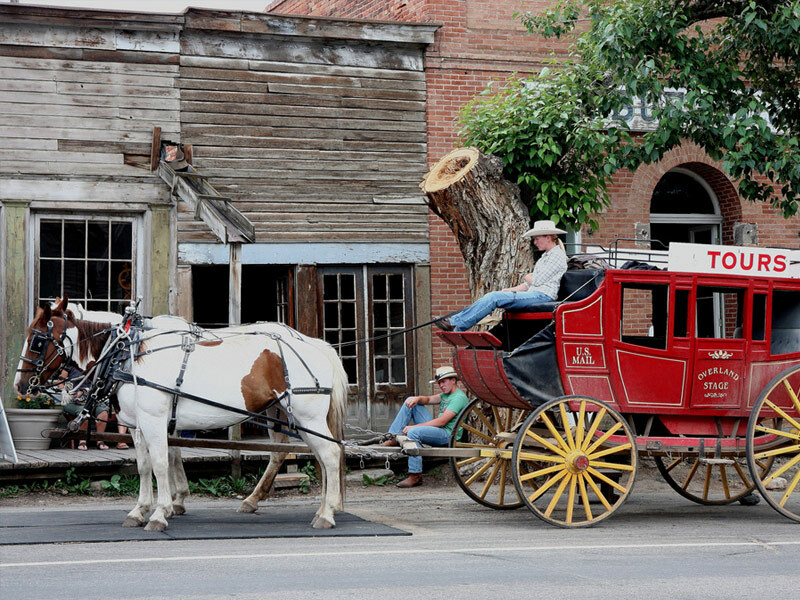 With Virginia City attracting so many tourists, there are lots of ways to experience what it was like back in its heyday, including riding a narrow gauge railroad and even hopping aboard an old-fashioned stagecoach. You can also watch the famous Virginia City Players perform vaudeville and melodrama in the opera house, the most popular form of entertainment, before movies and television. 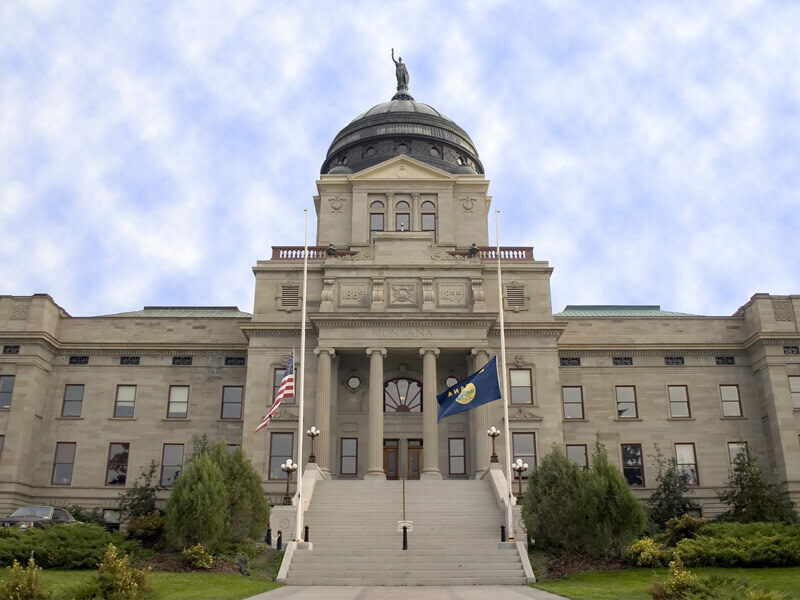 Helena is Montana’s capital, and while it’s not a popular tourist destination, it does offer an excellent representation of the state’s past and present. A mix of modern and historic, the city has hung on to much of its past by preserving many of its old buildings and attractions that made it popular during the post-gold rush era, when it was a haven for those who got lucky striking it rich. If you want to delve into the state’s history, visiting here offers the chance to take one of many tours that provide an excellent insight. It may not look like much at first glance, but when you venture off the Interstate, you’ll discover a gem. Stop into the Helena Visitor Center for more insight on how to spend your time here, or to take a guided tour of the city’s Pioneer Cabin, built during the gold rush of the 1860s. Located north of Yellowstone National Park on the banks of the Yellowstone River, Livingston is a picturesque ranch town, known as the former home of famous frontierswoman Calamity Jane as well as the site of the world’s best trout fishing. Here, you can visit regional history and art museums, browse art galleries, enjoy a drink at a western saloon and go shopping at a host of gift shops, sporting goods stores and western apparel emporiums. When it comes to outdoor adventures, the surrounding mountains offer the chance to enjoy hiking, biking and horseback riding. In the summer, Livingston hosts a wide range of festivals and events, including the Summerfest music festival, the Gallery Associated Art Walk and the 4th of July Rodeo. 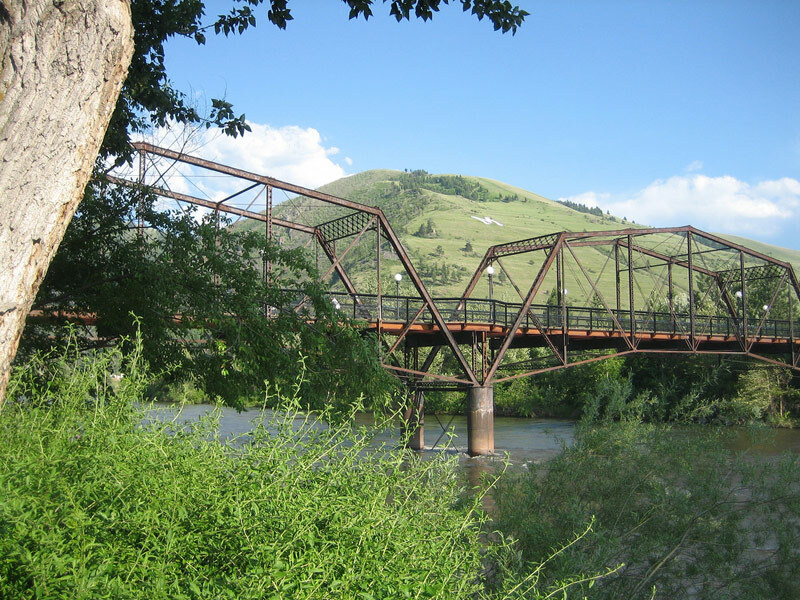 With its lush green landscape and dense trees, Missoula is known as the “Garden City.” Tucked within the Rockies, surrounded by spectacular beauty, including seven wilderness areas and the confluence of three rivers, it offers a wealth of outdoor adventure opportunities including hiking, biking, fishing, kayaking and boating in the summer; snowshoeing and skiing in the winter. It’s also one of the state’s top cultural hubs. 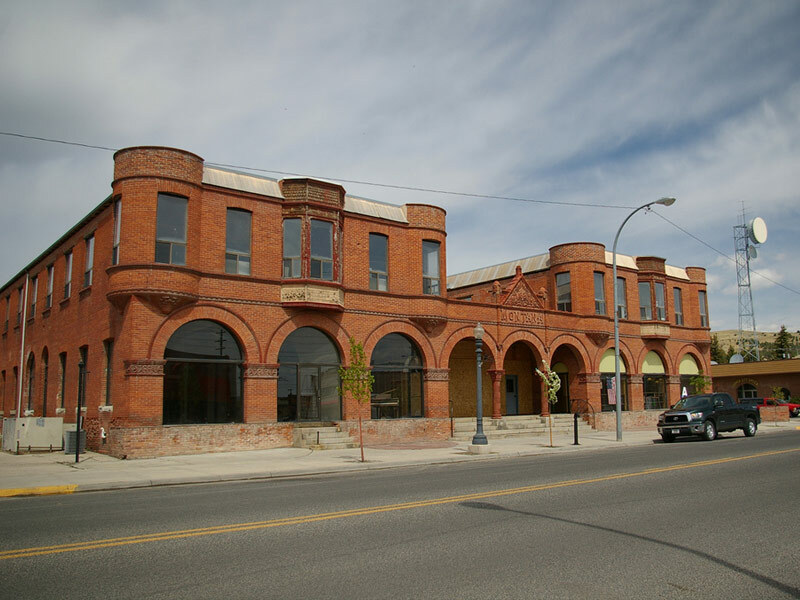 It offers everything from the symphony, theater and opera to roller derby, while history buffs will appreciate its many outstanding local museums and art lovers can enjoy browsing the Missoula Art Museum as well as a number of excellent galleries. With three distinct shopping districts showcasing a variety of galleries and boutiques, shopping enthusiasts are sure to find what they’re looking for too. Located in the southwestern region of the state near Whitehall, Lewis and Clark Caverns State Park is Montana’s very first, and best-known state park, home to one of the most elaborate limestone caverns in the Northwest. 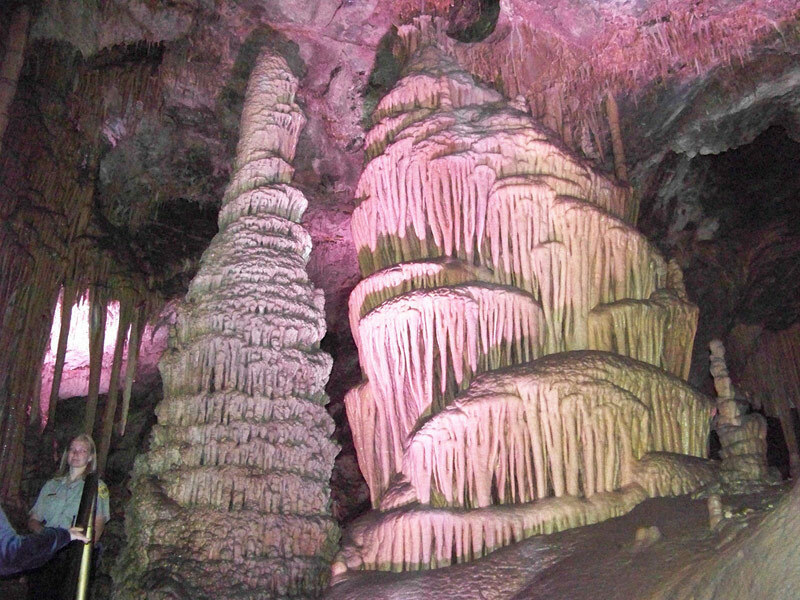 The stunning caves are lined with stalagmites, helictites, stalactites and columns that are viewed under the glow of electric lights – they also make for a naturally cool respite from the hot summer sun. Guided tours are available between May 1 and September 30, and the park also features campgrounds, cabin rentals, hiking trails, a visitor center, picnic areas and an amphitheater. Little Bighorn Battlefield National Monument, located in southeastern Montana about 15 miles southeast of Hardin, stands as a memorial for one of the most famous battles in American history, which took place in 1876 between the U.S. Seventh Cavalry Regiment led by Lt. Col. George Armstrong Custer, and the Sioux and Cheyenne under the leadership of Sitting Bull. It was one of the Indian’s last armed efforts to preserve their traditional way of life. The site is also home to Custer National Cemetery, where thousands of soldiers who fell in battle are resting in eternity. 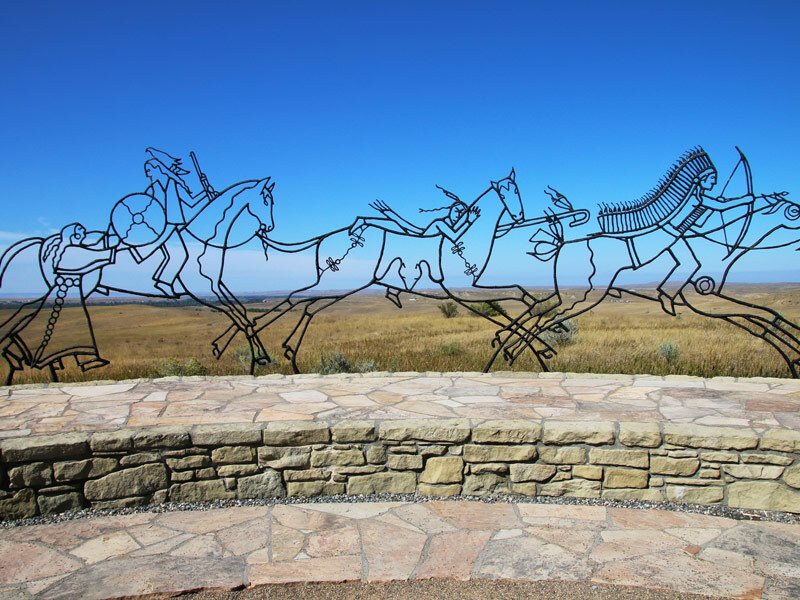 A visitor center and museum hosts exhibits relating to the battle, Custer, Plains Indian life, weapons and archaeology. 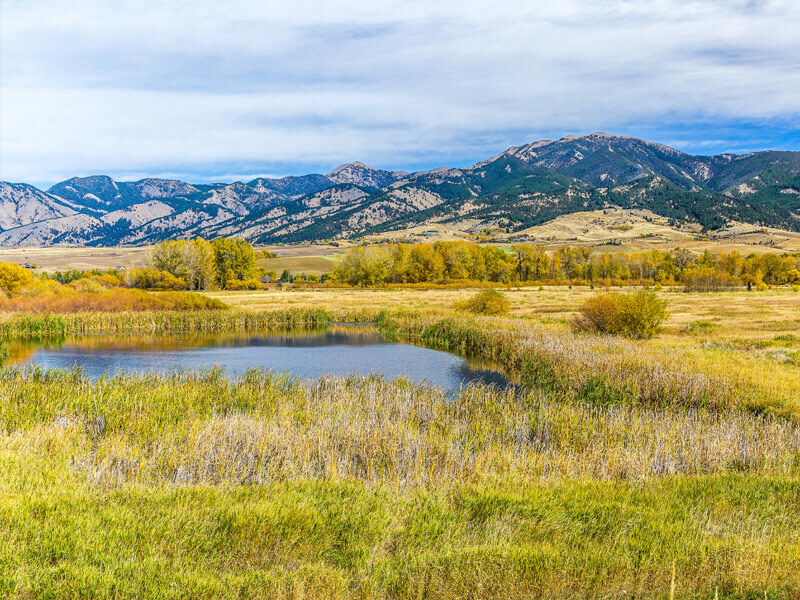 While Bozeman is mostly known as a popular base for enjoying outdoor activities like fly fishing, hiking and skiing, there are plenty of things to do right in town, as one of the more diverse, eclectic cities in Montana. 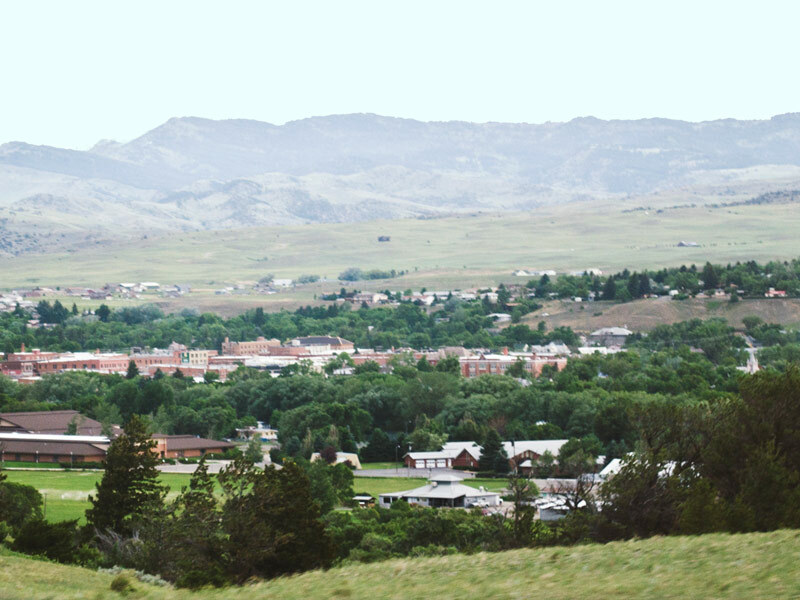 While it definitely has an Old West flavor, it has an alternative college town feel as well, as the home of Montana State University. The university hosts the Museum of the Rockies, one of the most entertaining museums in the state, with outstanding dinosaur exhibits, laser planetarium shows, early Native American art, and a living-history outdoors section. If you like fine ale, the Bozeman Brewery is known as one of the best in the west, and just 10 minutes west of town, at Bozeman Hot Springs, you can enjoy soaking away your cares in the pools that are naturally geothermally heated. Big Sky is a little town about 45 miles southwest of Bozeman, nestled high in the mountains, surrounded by timberland, the Spanish Peaks Primitive Area and the Gallatin National Forest. It may best be known for its outstanding, crowd-free skiing, with more than 5,800 acres of skiable terrain that’s spread across four mountains. During the summer, this scenic community offers all sorts of outdoor recreation opportunities, including whitewater rafting, the chance to fish blue ribbon trout streams, enjoy backcountry hikes with trails that you’ll often have all to yourself, go horseback riding or mountain biking, and much more. 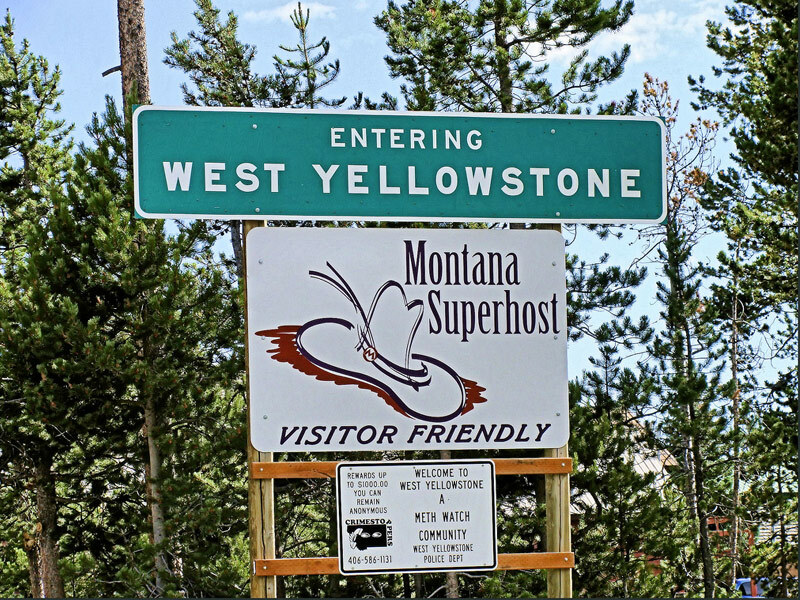 It’s also a gateway to Yellowstone National Park, located less than an hour from its West Entrance. The town of West Yellowstone is a gateway to Yellowstone National Park, sitting just outside its West Entrance. It makes an ideal base for enjoying the area’s renowned fly fishing, river rafting, hiking, mountain biking, four-wheeling and horseback riding as well as snowmobiling and cross-country skiing in the winter. The park itself is renowned for its wildlife, home to everything from bears, moose and bison to wolves, elk and even pelicans. It’s also one of the world’s most active areas of hydrothermal activity, famous for its hot springs, mudpots, fumaroles, travertine terraces and geysers, including the most famous geyser on Earth, Old Faithful. Along the boardwalks of West Yellowstone, you’ll find great shopping and a wealth of eateries too. 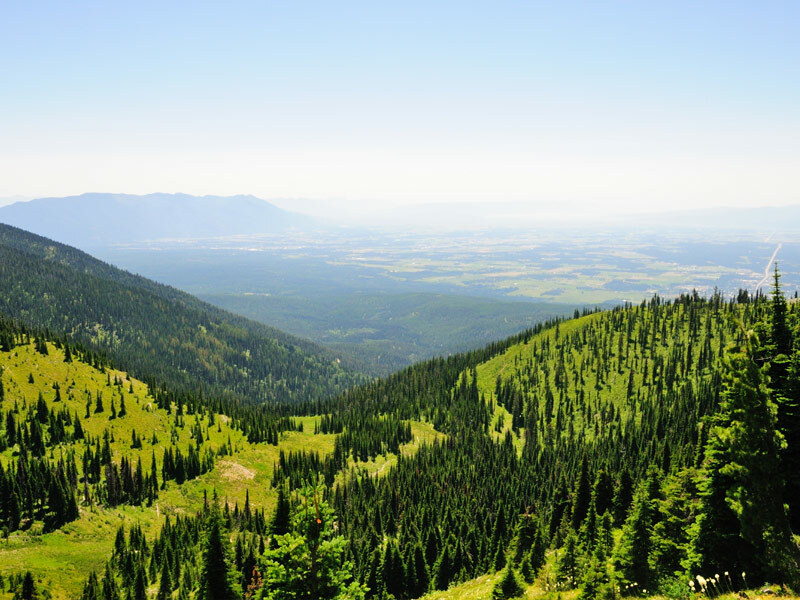 Located in Montana’s southwest region, Anaconda is nestled in a mile high valley, surrounded by mountains, lakes and densely timbered forestlands. The town was established when Butte’s giant Anaconda Copper Mining Company needed smelter for its massive amounts of copper core, and while smelting operations ended in 1980, “The Stack” remains an important landmark and a state park. Today, the town is a popular vacation destination, with its gorgeous Washoe Theater on its main street, as the last theater in the U.S. that was constructed in Neuvo Deco style. Of course, as with so many other great Montana mountain towns, there are also lots of outdoor activities available in the area, like fishing, hiking and golf. Set along the shores of picturesque Whitefish Lake in Flathead County, Whitefish is an outdoor adventure hub and was named one of the Top 25 Ski Towns in the World by National Geographic. Whitefish Mountain Resort is considered one of the very best destinations for affordable skiing on uncrowded slopes with magnificent mountain backdrops, offering great beginner terrain as well as challenges for experts. When the snow has melted, visitors can enjoy hiking, biking and boating as well as fantastic dining and live professional theater. As Glacier National Park is just a short jaunt away, Whitefish also makes a perfect base those who plan to visit. 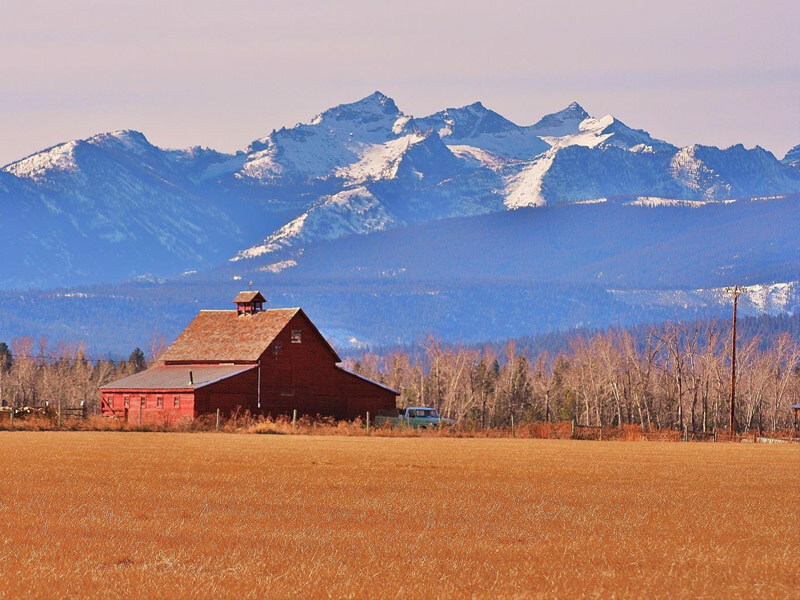 This little town that sits at the foot of the Mission Mountains in the heart of the Flathead Indian Reservation is famous for its world-class rock and ice climbing as well as the magnificent St. Ignatius Mission. Built in 1891, its highlight is the 58 murals which were hand-painted by Brother Joseph Carignano. The colorful murals are still in remarkable condition and cover all of its walls and the ceiling. Adjacent to the mission, is a museum displaying Indian artifacts, with its gift shop offering religious items for purchase. There are also a number of outstanding fishing lakes in the area, while the Flathead River is a popular place for rafting. This historic town was at its peak as a mining town in the latter part of the 19th century. Today, it offers a number of attractions, from mining for sapphires to plays and vaudeville-style shows at the 1891 Opera House Theatre to the Granite County Museum which offers an excellent overview of silver mining operations. It features exhibits on pioneer and homestead era history, old photos and real mining equipment as well as a miner’s cabin and a realistic simulation of an actual mine. Nearby, you can explore Granite Ghost Town, part of the Montana’s State Park System, which showcases relics that remain from the abandoned town, like the Miner’s Union Hall and the Granite Mine Superintendent’s House. 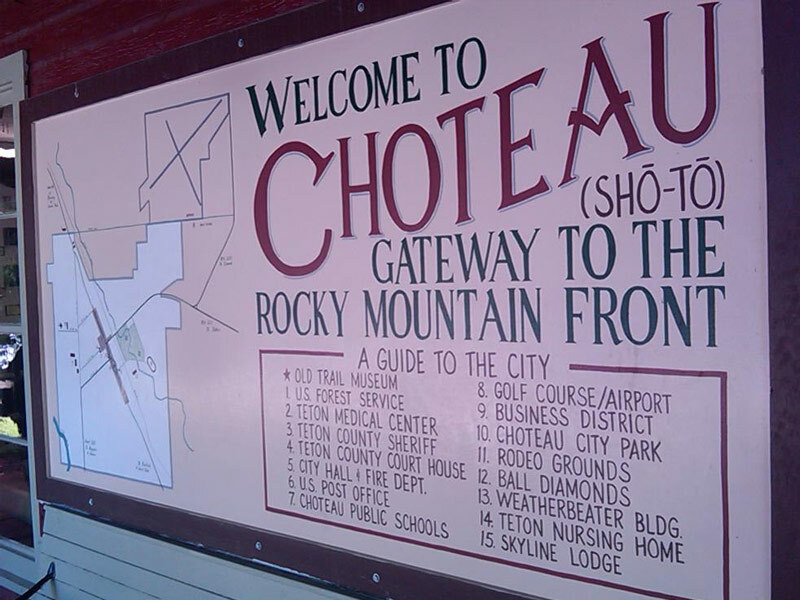 Located on the “front porch” of the Rockies about halfway between Glacier and Yellowstone national parks, Choteau offers a charming downtown with traditional Western Flair and locally-owned shops. 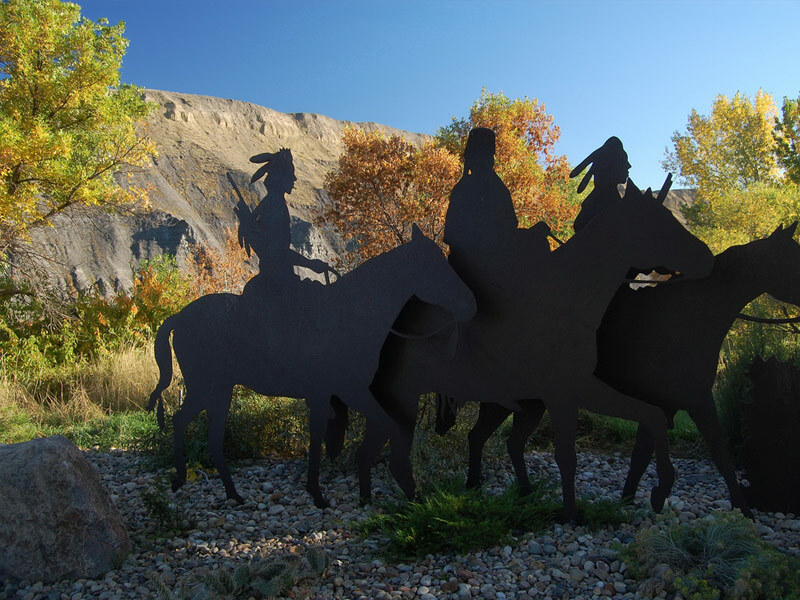 Popular with visitors exploring the Dinosaur Trail, its Old Trail Museum is one of 14 stops on the Montana Dinosaur Trail, and features dinosaur exhibits, fossils, Native American artifacts and information on the diverse and colorful local history. The community is also a launching point for nearby recreational activities like hiking, mountain biking, whitewater rafting, fishing in blue ribbon trout streams and skiing. Tucked away in the northwestern corner of the state near the Idaho border, this little community in a valley carved by the Kootenai River at the base of the Cabinet Mountain Range, offers plenty of charms and jaw-dropping scenery. While it was once a mining mecca, today this town of less than 3,000 is popular for its numerous scenic attractions, including Ross Creek, a preserve of ancient Western Red Cedar Trees, Libby Dam, the Kootenai River and Kootenai Falls, the largest undammed falls in Montana, as well as the chance to camp in its many campgrounds and enjoy an abundance of skiing options. One of the most amazing views can be had by taking a stroll across the swinging bridge that sits above the falls. This little town of 1,100 sits along the banks of the Tobacco River near the Canadian border. It offers a friendly small town atmosphere, and every year it hosts a number of fun annual events like the Lincoln County Fair and Rendezvous Days which showcase its outstanding hospitality. Its history comes alive through the Tobacco Valley Historical Village, a collection of restored structures that date from the 1880s to 1920s, and in the summer, local growers and artisans fill Riverside Park to take part in the Eureka Farmers Market which offers a little bit of everything, including homemade jams, locally made gift and handcrafted items, as well as Montana grown produce and local musicians to listen to while you browse the offerings. Eureka also provides easy access to the Ten Lakes Scenic Area and the numerous hiking trails, streams, campgrounds and cross-country skiing trails in the surrounding Forest Service land. The entire town of Fort Benton is a National Historic Landmark, it has such a rich history. The “birthplace of Montana,” it was founded on the courage and hard labor of the thousands that came to explore and seek a better future. You’ll see its history on display throughout, particularly in the Heritage Complex which sits on the banks of the Missouri River, where the old fort shares space with a variety of other museums. By walking along the historic steamboat levee, you’ll see outdoor art displays, and in the historic district, you’ll find the past seamlessly merging with the present in its theaters, shops, art galleries and outstanding eateries. Hamilton is the hub of the beautiful Bitterroot Valley, located an hour south of Missoula. This bustling, charming community not only offers stunning scenery, but it boasts an emerging arts scene with live music, local theater and a happening downtown. It also hosts a number of fun annual events, like Daly Days, which celebrates the city’s founder and one of the state’s original Copper Kings, as well as the Ravalli County Fair and a Microbrew Festival. 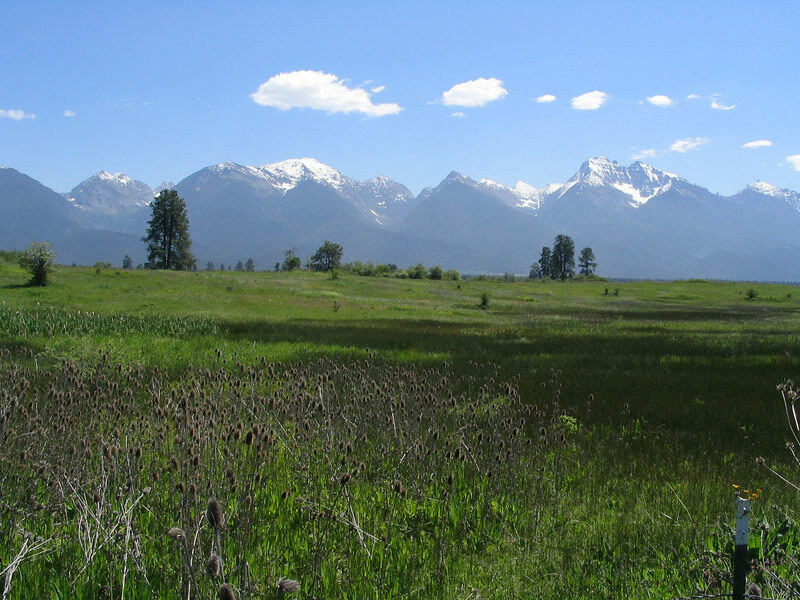 With vast areas of wilderness just to the west of the valley, including miles of pristine forest as well as an abundance of wildlife, and the nearby Bitterroot River, Hamilton also offers numerous outdoor activities, including great fishing, hiking, boating and mountain biking – a favorite sport with the locals due to the hundreds of miles of trails and dirt roads throughout the area. Butte lies in the heart of southwestern Montana. 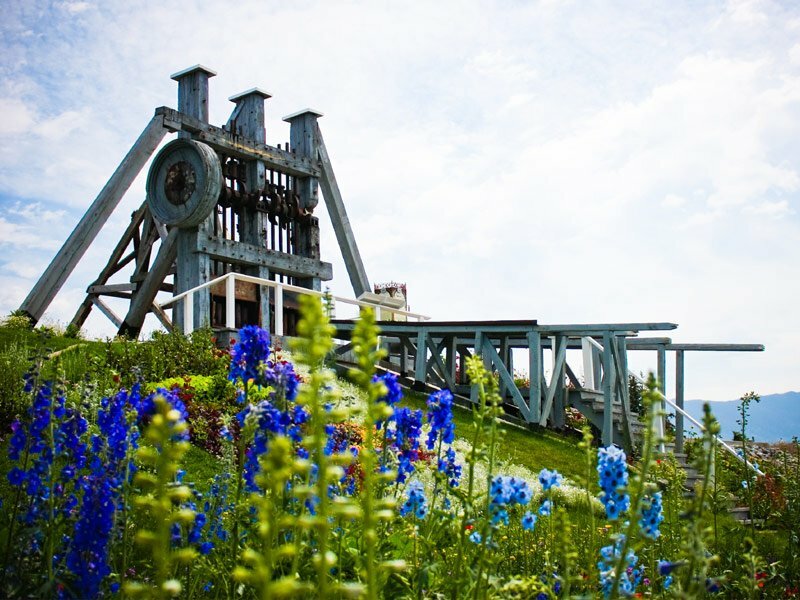 It was the largest city west of the Mississippi at the turn of the 20th century, and was often referred to as the “Richest Hill on Earth.” The headframes that are scattered across “The Hill,” are symbols of its proud mining heritage. 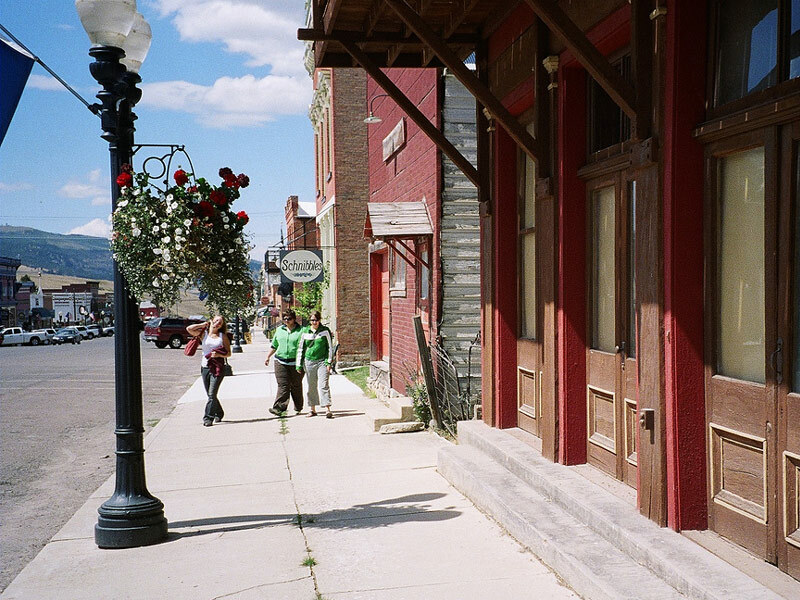 Butte is rich in history, culture and art – all while being set in one of the state’s most breathtaking areas. It boasts one of the country’s largest National Historic Landmark Districts, with more than 4,000 structures around the city, and it offers trolley tours of its historic sites as well as a host of museums, like the World Museum of Mining and the Dumas Victorian Brothel Museum, located in the once notorious Venus Alley. 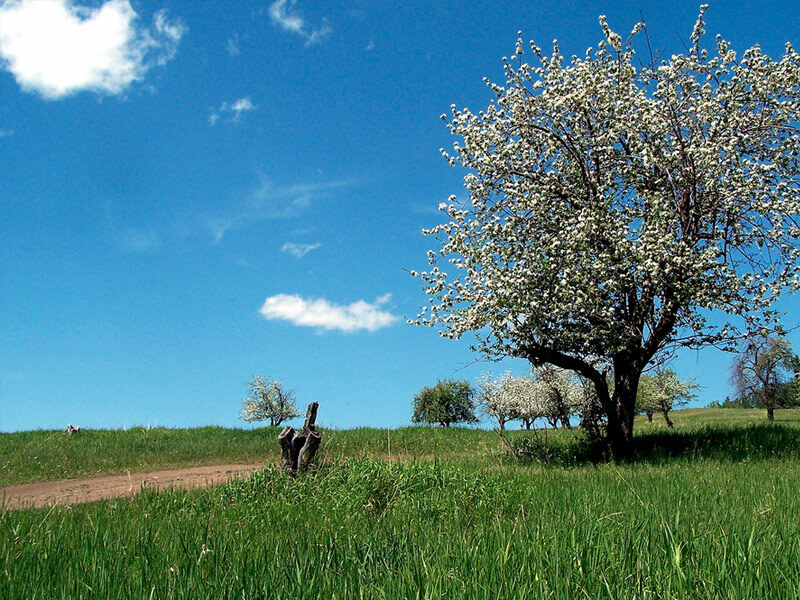 Surrounded by dramatic mountain ranges, Butte also offers easy access to fantastic hiking, trout fishing, world-class golf courses, skiing, snowmobiling and even soaking in hot springs.